​​​ ​​ELLINGTON AIRPORT​​, HOUSTON​ – The Lone Star Flight Museum in Galveston will close at the end of July 2017 to move to a bigger location in Houston and farther from the Gulf of Mexico hurricanes for greater protection. 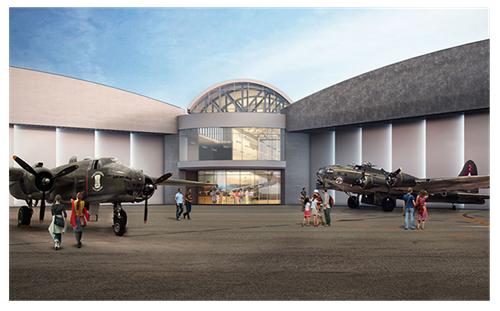 The $38 million museum complex is scheduled to open in September 2017 at Ellington Airport, including a 130,000-sf building and interactive exhibits. The Lone Star Flight Museum opened in 1990 at Scholes International Airport ​and legislators in 1995 declared the site home to the Texas Aviation Hall of Fame. The museum was inundated by six feet of floodwaters when Hurricane Ike hit in September 2008.